Whether your installing a new hot water heater or replacing your old one, you’re in good hands. Our licensed professionals are the local experts and will get your new system up and running in no time. We offer gas, electric, and tankless models from all the top-quality brands. When it comes to high-efficiency water heaters, our selection goes unmatched in reliability, durability and innovation. Whether you are looking for gas or electric, traditional or tankless, we’ve got a solution to fit your needs. Your hot water heater won’t last forever, and there are some telltale signs that it might be time to replace your old unit. If your current unit leaks water, makes loud noises, uses too much energy, or leaves you with luke-warm water, it’s most likely time for a replacement. Most hot water heaters only last 8 to 12 years, so if you’re nearing that mile-marker and are seeing any of those signs, it may be time for a new unit. 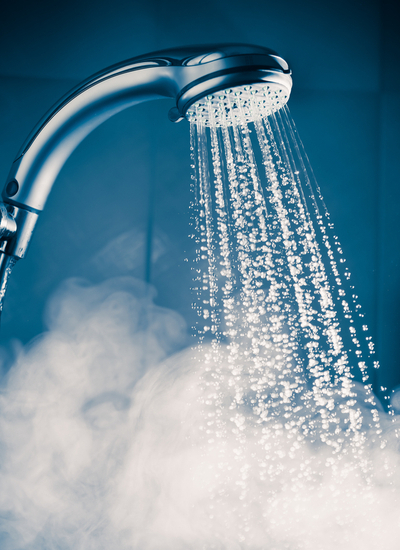 Sick of timing your showers around the size of your hot water tank? 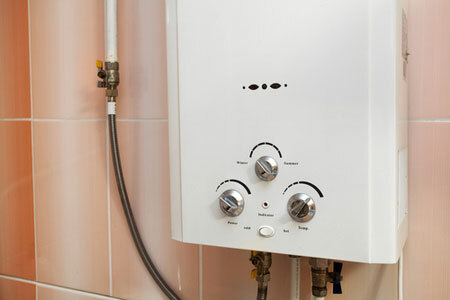 Tankless water heaters will keep your water continuously hot. With a high-efficiency tankless water heater, you can save up to 40% on your utility bill. Tankless heaters can last up to 20 years, while traditional tanks only last about 8 to 12 years. With a traditional tank, the stored water can accumulate rust and scale, making your water less clean. Tankless heaters eliminate the use of stored water and provide your home with cleaner, safer water.